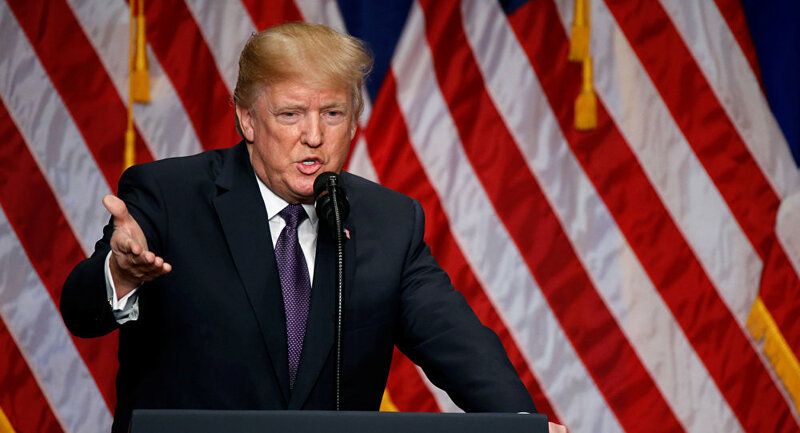 The new US National Security Strategy (NSS) announced by President Donald Trump on December 18 declares China and Russia as the primary threats to America's economic dominance. Speaking to Radio Sputnik, Dr. Tong Zhao, a fellow with the Carnegie-Tsinghua Center for Global Policy in Beijing, expressed concerns over the document's Cold War rhetoric. Sputnik: How important is this new strategy and to what extent does it contrast the strategies of the previous administrations? Dr. Tong Zhao: [The US National Security Strategy] is one of the most important national security guidelines of the United States. Almost every American administration will draft its own national security strategy [upon which] its overall security policy later on will be guided. Compared to previous documents this one does use very harsh words toward China and Russia. Some of the rhetoric makes people remember the Cold war era and it probably will increase the risk of rivalry and competition among the major powers. Sputnik: Why is the US viewing Russia and China as principal rivals? Do you really think that Moscow and Beijing pose a threat to Washington? Dr. Tong Zhao: These powers don't share the political ideologies. Many Americans [have] concern about the rise of China, some politics of Russia. They do feel the overall rivalry between the major powers. Sputnik: At the same time Donald Trump stressed the importance of close cooperation with Beijing and Moscow. How profitable is it for Washington to work together with Russia and China? Dr. Tong Zhao: Washington recognizes the importance to continue cooperation with China and Russia. In the document it explicitly states that the US will try to maintain strategic stability with Russia and China. That recognizes the strategic importance of the both countries. Looking into the future Washington will continue to try to work with Russia and China. Sputnik: Now the new strategy also targets North Korea. What is your view on the US approach towards Pyongyang? Dr. Tong Zhao: Washington still believes that it can use coercive pressure to force North Korea give up its nuclear weapons. I don't think that's realistic, I think it's more like an illusion. More coercive pressure could actually be very counter-productive and lead North Korea to behave even more provocatively. It's very difficult to change the mindsets of the top officials in the White House, especially president Trump himself has this illusion that if they impose more economic and diplomatic pressure on North Korea, North Korea would have no other option but to de-nuclearize. This thinking is the most dangerous factor that is driving everyone to the increasing likelihood of a military conflict. I don't think there is much left for us to do regarding more sanctions against North Korea. The only important issue now is whether we should cut the supply of crude oil products to North Korea. Countries like China are very much concerned about whether those radical measures could very much destabilize the regime and therefore lead to military conflict. I don't see China taking those very radical measures to completely cut off North Korea. Sputnik: What overall if any has been the response of Chinese media to these latest developments — how will the government react? Dr. Tong Zhao: The [Chinese] foreign ministry offered a relatively moderate feedback response to the release of the report. The Chinese Embassy in Washington released an official statement strongly rebutting some of the harsh rhetoric in the document towards China. The official statement calls for bilateral relationship with Washington built upon mutual interests, mutual cooperation. In general this document was not very well received in China. Many experts are really concerned that it could lead to a new era where both countries increasingly act to each other according to their Cold War thinking. The risk of increasing bilateral tensions is very high. The views and opinions expressed by Dr. Tong Zhao are those of the speaker and do not necessarily reflect those of Sputnik. National Security Strategy? More Like Infowar Strategy!